CHICAGO - For those willing to travel an hours of two from the Chicago area, there are four major Indian casino with new features and facilities worth the visit. The Potawatomi Bingo Casino near downtown Milwaukee has added an off-track-betting room and a new poker room as part of the casino's newly completed 500,000-square-foot, $240 million expansion project. "A wide variety of simulcast races are offered in this new, non-smoking amenity located just off the casino's skywalk on the third floor," OTB manager Paul Lurenz said. Hold'em, with betting limits ranging from low-limit to no-limit." Blue Chip Casino Hotel & Resort is in Michigan City, Indiana. Its night club "Rocks" has entertainment including a Neil Diamond tribute and a popular oldies band Zane's Way. Both performing in September. The Majestic Star Casino poker room in Gary offers two new Texas Hold'em tournaments in addition to its regular weekly schedule of tournaments. 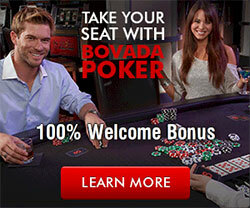 The Bounty Tournament is played at 7 p.m. every Friday, and the Deep Stack at 5 p.m. Saturdays. The buy-in is $125 for the Bounty and $220 for Deep Stack. Poker room manager Dom Niro said "As your poker room team, we are committed to providing you with the greatest value in tournament and cash play in the area." The Four Winds Casino Resort in New Buffalo, Michigan is featuring the "Zig, Zag and Tag" promotion with cash prizes and a new 2008 Jaguar XF. On September 27th there will be $10,000 cash given away starting at 4 p.m. EDT and 10 p.m. drawing will give away the Jaguar.